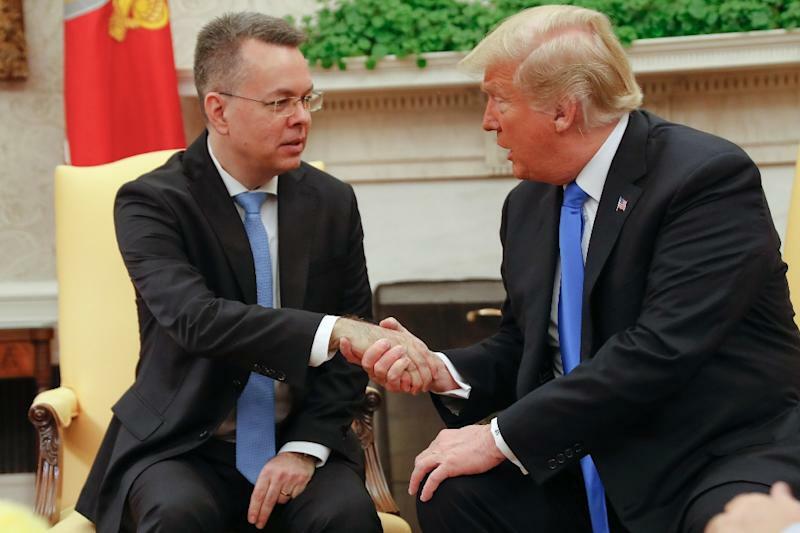 Washington (AFP) - An American pastor held for two years in Turkey on terror-related charges arrived home in the United States on Saturday and sat down with US President Donald Trump, who signaled an easing in the diplomatic crisis sparked by the case. Andrew Brunson -- who has become a cause celebre for Trump's conservative Christian base -- received a hero's welcome at the White House shortly after his arrival at Joint Base Andrews outside Washington. On Friday, a Turkish court in the western port city of Aliaga convicted Brunson on charges of espionage and aiding terror groups. It sentenced him to three years, one month and 15 days in jail -- but released him based on time served and good behavior. Trump continued to celebrate Brunson's liberation into the night. "Big day! 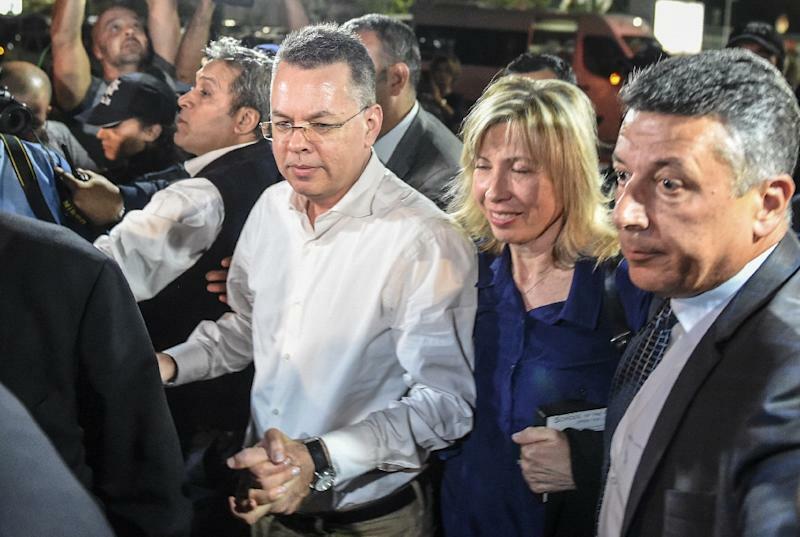 Pastor Andrew Brunson, who could have spent 35 years in a Turkish prison, was returned safely home to his family today," he tweeted. He pointed to Turkey's order for Russian S-400 missile defense systems, which has riled its Western allies, as well as Ankara's determination to do business with Iran in defiance of US sanctions.